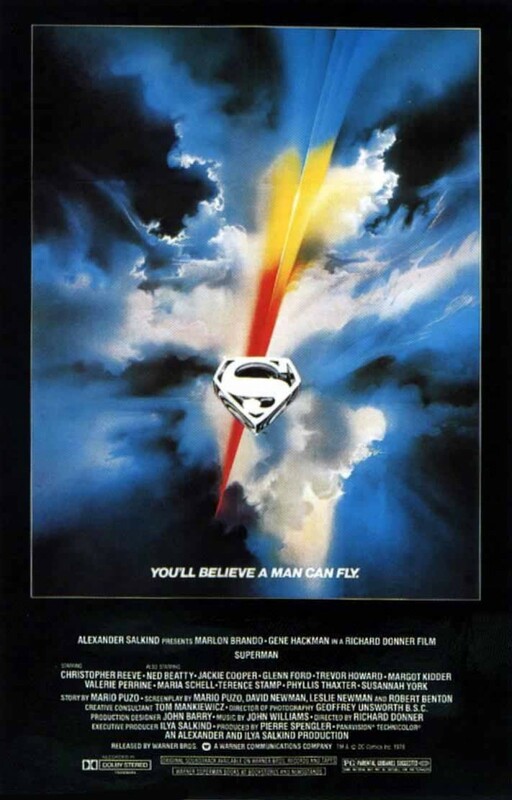 Christopher Reeve and Richard Donner left an indelible mark on pop culture with their 1978 classic, “Superman.” Reeves undeniable charm as Clark Kent & Krypton’s last son paired with Donner’s visual prowess have made this one a fan favorite for almost 40 years. Since 2002, the website, CapedWonder.com’s mission has been to honor and celebrate Christopher Reeve’s legacy as an Actor, Humanitarian, Teacher and Family Man; and to honor the Directors, Filmmakers, Writers, Cast and Crew of the classic Superman movie series. 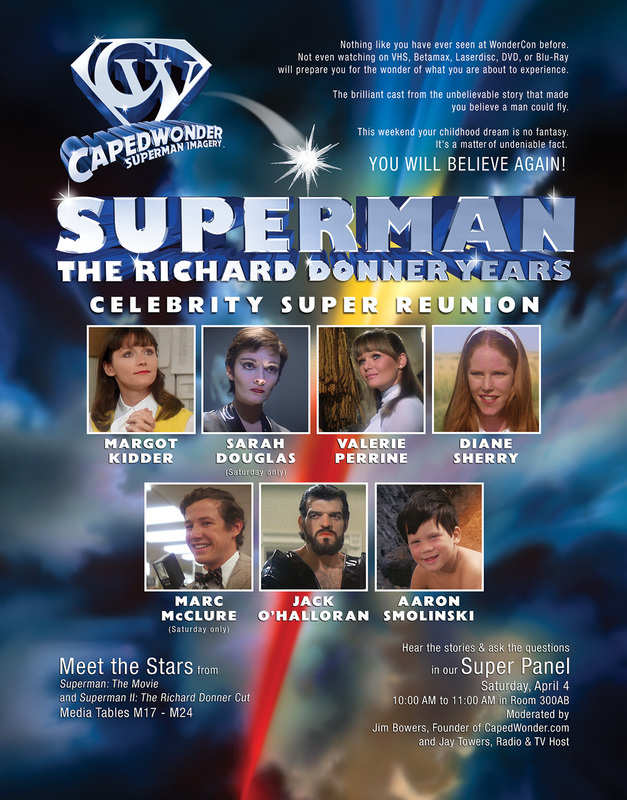 CapedWonder.com will host the Superman: The Richard Donner Years Celebrity Super Reunion at WonderCon 2015, April 3-5, 2015! The Q&A panel will take place in Room 300AB (third floor of the convention center) at 10 AM on Saturday, April 4. The panel will be moderated by Jim Bowers and Jay Towers. This event will be a rare opportunity for fans to meet the celebrities, purchase photographs, acquire autographs, and take photos. It should be a grand time for all! Look, I know she was a bad guy in the film but we totally had a crush on Ursa/ Sarah Douglas when the film came out. We can’t WAIT to meet her and the rest of the stars who will be at this must-attend event for fans of Superman, Christopher Reeve, Richard Donner and pure awesomeness. This entry was posted in Uncategorized and tagged Aaron Smolinski, Bob Peak, CapedWonder.com, Celebrity panel, Christopher Reeve, Diane Sherry Case, Jack O'Halloran, Marc McClure, Margot Kidder, Richard Donner, Sarah Douglas, Superman, Valerie Perrine, WonderCon, WonderCon 2015. Bookmark the permalink.